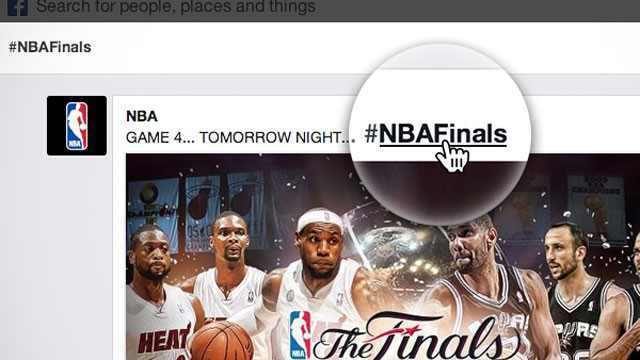 Clickable Hashtags Are Coming to Your Facebook Newsfeed!! Get ready to see a lot more of the # symbol in your Facebook Newsfeed. Yes, the social network is about to start looking a bit more like that othersocial network you might use as it begins to roll out clickable hashtags. Over the next few weeks all Facebook users will be able to include a hashtagged phrase, like #royalbaby or #puppies, in their posts and then watch it become clickable. When a hashtag is included in a post, clicking on it will pop out a feed that aggregates others posts that have been tagged with the same phrase. The move will make it easier to find what other people are saying about specific topics and events, something that people have typically gone to Twitter to do over Facebook.